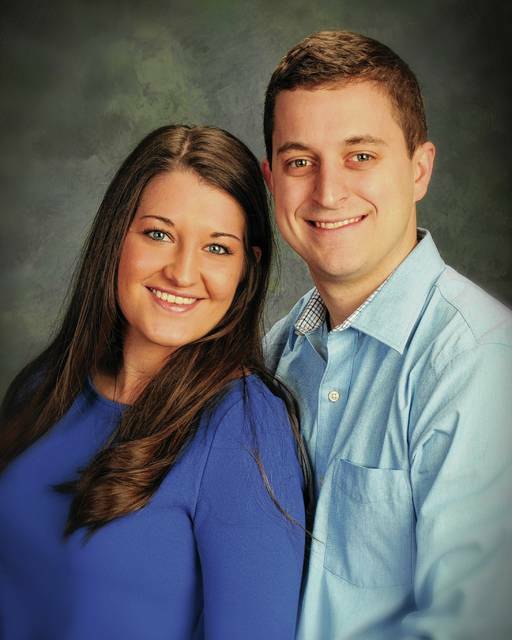 Lauren Ashton Dill, daughter of Dennis and Shari Dill of St. Paris, and Ross Paul Carpenter, son of Patrick and Sherry Carpenter of Kent, will be married at the St. Paris United Methodist Church on Sept. 9 at 3:30 p.m. A reception will be held at the Pretty Prairie Farm, Urbana, following the ceremony. The bride-elect is a 2007 graduate of Graham High School and a 2012 graduate of Miami University with a bachelor’s degree in Organizational Communications. She is employed by Target, Cincinnati. The groom-elect is a 2010 graduate of Theodore Roosevelt High School in Kent and a 2014 graduate of Miami University with a bachelor’s degree in Supply Chain Management. He is employed by CINTAS, Mason.